Home / Pokies / 65 Million Years In The Making And You Won’t Believe What You Dino-Saw! When Steven Spielberg released the first film in his Jurassic Park series, the world was blown away by this epic adventure of a dinosaur theme park, gone wild. Incredible special effects helped bring its cast of assorted dinosaurs very much to life. And now, several years later, Microgaming have taken this genetic fingerprint and developed one of the blockbuster pokies of 2014. Everything about the Jurassic Park pokie oozes class. 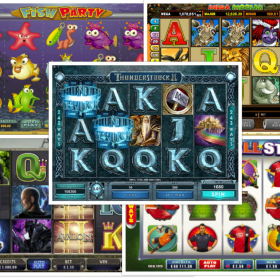 The fantastic 3D graphics are multi-layered producing never-before seen effects on a slot. The sound effects have been taken from the film and digitally enhanced to give the player an even more immersive experience. 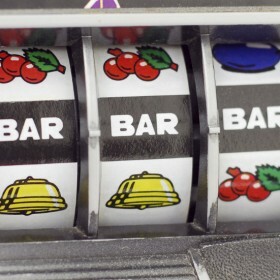 The game features 5 reels with 243 paylines, with spins starting at just 0.30 per spin up to 30 per spin, which means it is budgeted sensibly to fit the pockets of all players regardless of the size of bankroll available. In the base game you can activate the T-Rex Alert mode which adds up to 35 wilds to the reel and gives you 6 free spins. There’s also five exciting, nerve-shredding videos to watch taken straight from the most exciting parts of the movie. 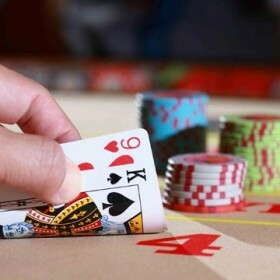 There are no less than five bonus games available, each accessed in order after the other though after 25 activations, you can then select which game to play. These games are accessed in the usual fashion, by landing 3, 4 or 5 scatter symbols across the reels. Each bonus game is packed with its own raft of features including a free spins, wild symbols and much more and you can win up to 95,000 coins if you manage to land the right combination at the right time. So grab your rucksack and gun and get ready to fend of the vicious velociraptors, terrifying T-rex and the bumbling Brachiosaurus with arguably the most exciting pokie of the NZ winter; Jurassic Park! 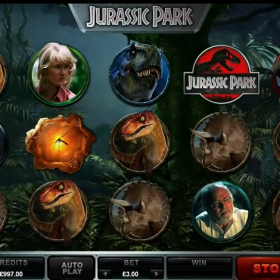 Jurassic Park online slot lands in New Zealand’s best casinos this August.